A lot of fake air-scoops on the hood will add 200 BHP to the car! That must be something the car owner must have heard from the modifier. The car gets loads of creepy looking fake air scoops on the hood. There is also a contrast black coloured body kit on the car. At least both of them are from Japan! 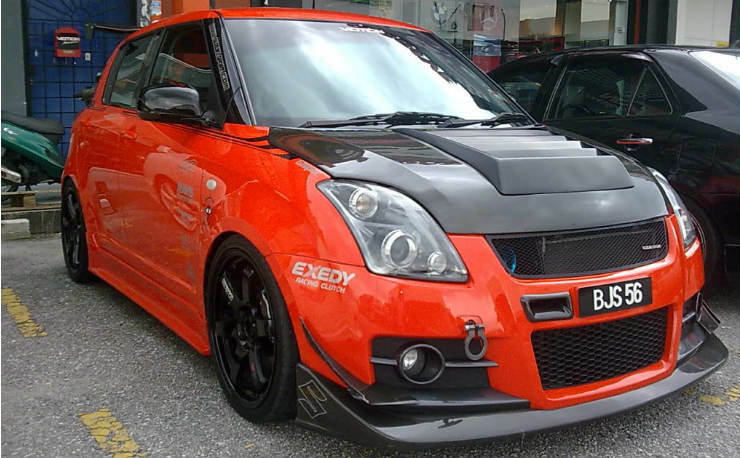 This Nissan GT-R lover has spent good amount of money and energy to make his Swift look like the GT-R. The Swift GT-R in blue colour also imitates the colour of the original car. The car gets an edgy front lip. The rear also gets a huge spoiler. 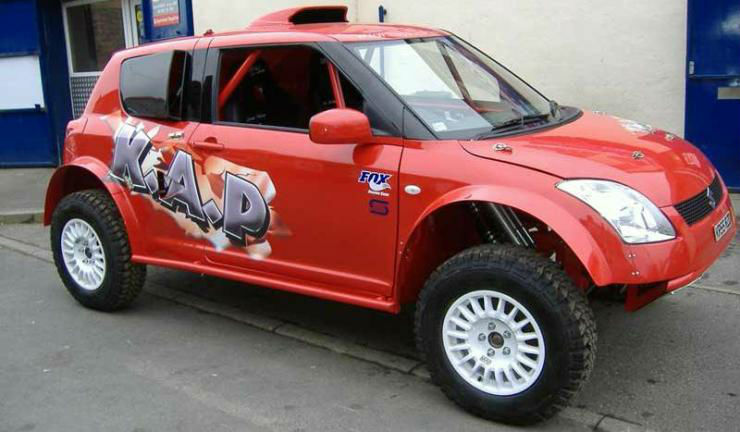 Modified as an off-road machine, this Swift looks extreme. The suspensions have been changed with off-road spec ones. The tyres have been modified with mud terrain ones. There is no front bumper now and the wheel arches have been modified to form flares. The car also gets a roll cage. The white Swift looks elegant in stock form. Here is an overly enthusiastic white Swift/ The front grille has been changed with tacky looking black vents. 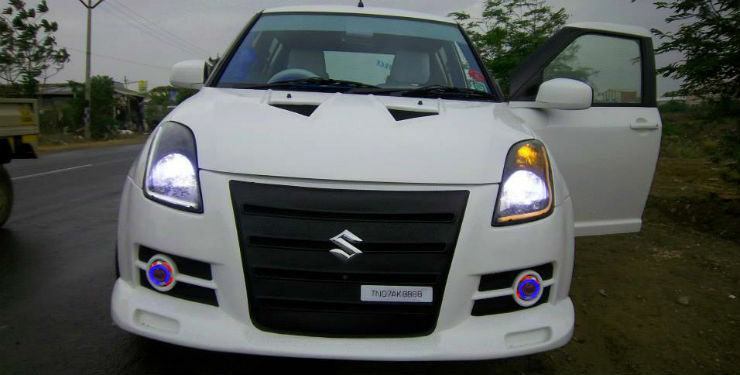 The headlamps have received DRLs with integrated indicators while the fog lamps have angel eyes of red and blue colour! It also gets a wacky looking body kit. Pink is a good girly colour but not so much when it is in a neon shade. The crazy looking Swift gets a roof wrap that also shrouds the A, B and C- pillars while the the body kit all around makes it look even more weird. This car will attract many eyes, but not a single one in a good way.